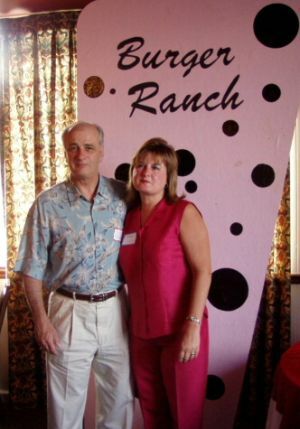 Jim and his wife at the 40th reunion. Jim is married and lives in Carmel. He is President of the Waffle house of Indiana (Sunshine Cafes)restaurant chain. 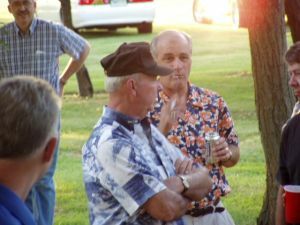 Jim and Rick Whitley talking at he Friday cookout.